January 2015 - American Solar Tinting, Inc.
We have discussed the many benefits of window tinting in offices and residential properties, but have not told you why we have the specific idea to get your Baltimore office windows tinted. It is no secret that Baltimore City has a high crime rate. Not only will darkened windows provide privacy, they will give an air of mystery to what’s inside. Everyone wants to know everything in Baltimore – everyone knows each other and the city has developed the nickname “Smalltimore.” People will come inside to see what’s going on if they cannot figure it out from the outside. Window tinting also provides other benefits for your Baltimore based office, and below demonstrates those bonuses. In Baltimore, every shop and restaurant are so close together you could take a giant kangaroo hop to get to the next. When passersby see a storefront that they have not noticed before, most likely they will open the front door and peek inside. If they like what they see, people will fully enter the store and walk around. Commercial window tinting, for that matter, gives an air of mystery for shoppers and diners. People will be curious as to the illusion of a cool, dimly lit inside. If you are a corporate office who does not want disturbances such as salesmen, tinted windows are a good option for another reason. These types of windows give you more privacy to work in your office without prying eyes. High rises in Baltimore City are not too far away from each other, so someone in the building across from yours could potentially stare at you all day long if you did not have tinted windows. Taxes in Baltimore City are already exquisitely high, so anything you can do to reduce your building’s HVAC bills is great. Having your office windows tinted keeps the temperature down. Window tinting blocks UV rays from the sun so you can wear that Ann Taylor dress to work that you’ve been saving. Another benefit is that sun glare will be no more if you have your windows tinted. Employees will be able to work on their computers without straining their eyes or getting annoyed with a beam of light hitting their pupils. Film on windows can make the glass shatterproof. This protects against burglars and attempted break-ins. As stated before, Baltimore has an exceedingly high crime rate, at about 438 crimes per square mile. Commercial window tinting seems almost necessary for your Baltimore office in this case. American Solar Tinting, Inc. is a factory authorized dealer of Vista® and LLumar® window films, the highest quality solar tinting products available. We are licensed, bonded, and insured and have served over 46,000 satisfied customers in Maryland, Virginia, and Washington, DC since 1958. If you have any questions about Commercial Window Tinting, please call American Solar Tinting today at 1-800-0100. You can also follow American Solar Tinting today on Google+, Pinterest,Facebook, and Twitter. Window tinting is the process of preventing a certain level of light to come through windows. Window tinting possesses many benefits for your office, retail store, or car, but not many know that window tinting can also be applied to your home. Window tinting for your home boosts curb appeal, proves to be energy efficient, and provides security. We talked about how window tinting can aid in your business’ curb appeal, but your home’s curb appeal is also just as important in a residential neighborhood. Neighbors constantly remark on the landscaping around your home as well as the state of the house itself. Having window tinting not only improves the look of your home from the street, it lets you cook dinner without the sunset blinding your eyes. When those new moms jog past your house with the baby strollers, they will be gossiping about how beautiful your estate looks. 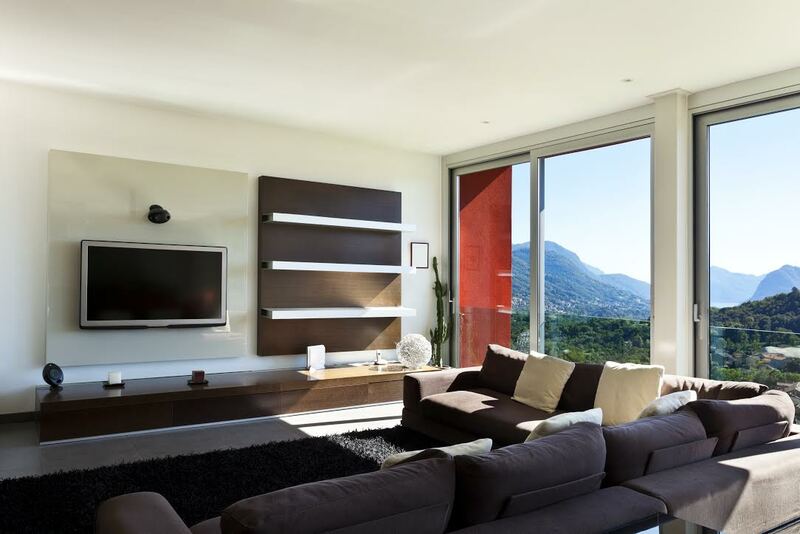 Windows can create a large temperature difference in a home. During the winter, drafty air can leak through if your windows are not up to date. Window tinting helps reflect heat back into your home to keep it warm. In the summer, hot light will shine through the windows, making your AC system work twice as hard to keep the house cool. When we implement residential window tinting, we do not necessarily have to darken the windows in your home. Using this process will reduce your energy bill and block harmful UV rays from entering your home. Your windows will still have a clear, bright appearance. Let’s go back to the gossiping, stroller-wheeling moms passing by your house. If you are a new neighbor or keep to yourself, they will be curious as to what it looks like inside! Window tinting provides an air of privacy that you would not otherwise have if the windows were clear on the outside. This way, you can keep the blinds open, allow natural light to come in, and still keep that gorgeous, expensive vase by the windowsill. As a factory authorized dealer of Vista® and LLumar® window films, we provide our customers with not only the highest quality installations, but the highest quality products. Our solar tinting is professionally installed with no mess, no hassle and minimal disruption. If you have any questions about Residential Window Tinting, please call American Solar Tinting today at 1-800-0100. You can also follow American Solar Tinting today on Google+, Pinterest,Facebook, and Twitter. When driving through a city or town, chances are most store window fronts look effectively identical to the passerby. Only the truly outstanding or outrageous storefronts get a second glance. People are too busy to give an uninteresting sight a second look. This is bad for businesses that rely on word-of-mouth to survive—a picture isn’t worth a thousand words if nobody sees it. This is where window graphics come into play. By investing in the art of catching the wandering eyes of passing people, known as “curb appeal,” a company can build more business for itself through an inviting façade that speaks volumes about the quality content inside. The sign to a store is absolutely everything when drawing in crowds from the street. A standard sign is mediocre and doesn’t catch enough attention. A sign with flair will make heads literally turn in surprise, and the passerby with think, “What an interesting store. I should look into it.” The payoff comes when the person remembers the interesting sign and looks up the store on the Internet—or better yet, takes a moment to stop inside and browse the wares. The three major aspects of a store sign are visibility, upkeep, and information. Someone should be able to see the sign while riding down the street or, better yet, from across the street. A faded sign should be refurbished or replaced, as an unattractive sign will tell the viewer more about the store than the store itself might say. The store’s name should be easy to see among the marquee, and store hours should stand out enough for someone giving a quick glance to know whether the establishment is open right at that moment or not. All of this should be clear with a single look as someone walks or drives past. Parking areas are just as important as the signs themselves. If possible, provide enough parking for your projected business model. Make sure all parking areas are clear of debris and holes that can damage cars or feet. Ideally, spaces should be marked with weatherproof paint. If parking is communal, then point your customers to the nearest parking lot. When your customers draw close to your door, you should consider their needs for the store entrance. Mark the way the doors swing on both sides of the doorway and clearly point out handicap accessibility. Importantly, make sure that any signs saying whether your store is currently open or not are turned on or turned to “Open”. Turning a customer away at the last minute is painful when you worked so hard to draw that person’s attention. American Solar Tinting, Inc. provides you with all of your window tinting, customized logos and storefront needs in the areas of Maryland, Virginia, and Washington D.C. Call us at 1-800-0100, visit our website, or follow our Google+, Pinterest, Facebook, or Twitter accounts for more information. Plain and simple, commercial window tinting will aid your business’ curb appeal. Curb appeal makes a home or business pleasing to the eye from afar – essentially, the curb. It is important for a business to maintain its curb appeal to invite customers into the store and give an outward appearance of approachability. 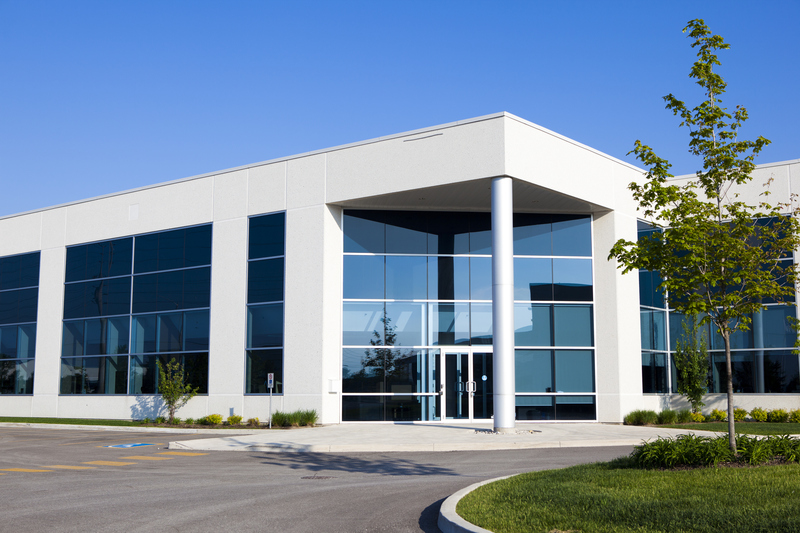 Below are other factors that can help improve your business’ curb appeal. Are there signs that direct potential clients or customers to your office or store? If not, see what you are able to do about that. Is there a clear path for people to walk on to get to the business? Do some hardscaping to make sure there is. Are your windows tinted darker or lighter? There are many opinions about the shade of a tinted window. Storefronts with clear window tinting are inviting, and darker commercial window tinting exudes an air of elegance. Both are the right answer because they protect sales persons from a sun glare inside. This is useful when they are trying to close a deal (after the customer came indoors because the curb appeal worked). If you have a display case, take full advantage of it! Do not use tacky items – make sure the display is thought out and relevant to what you are trying to sell. Doing so will immediately let the customer know what you have to offer and give them a first opinion on the quality of the item or service. If you have commercial window tinting, do you have appropriate signage visible with the business hours? Make sure the lighting and operational information go hand-in-hand so customers can grab the data easily. So your curb appeal got the customer inside the door. Now what? Make sure there is someone in the front to warmly greet the customer. Check to see if the inside appearance of the business matches the outside presentation. Inconsistencies will distract the customer from what you really want them to focus on. A great tip for organizing products is to put items you want to sell most on the right side of the store. More people are right-handed than left and will be more inclined to head towards your key items on the right. The checkout line in a storefront should be clearly visible, easily accessible, and should have a fairly short wait time. This will guarantee that the customer will not put the item back and leave because of a time constraint. People tend to want instant gratification so the shorter the wait, the more likely they will stay in a positive mood and buy something. In an office building, exit signs should be clearly marked so that clients do not become frustrated when trying to leave. Once customers or clients have left the premises, the curb appeal will kick in again. The parking lot and landscaping should look just as appealing from the office. Don’t forget – people will also notice upon leaving if the windows are clean or dirty. Window tinting will aid in the physical appearance of the glass. At American Solar Tinting, we offer custom corporate logos and graphics for glass windows, walls and doors. We are an authorized dealer of SOLYX® films, the finest window graphics on the market. Graphics will also boost your curb appeal. American Solar Tinting, Inc. is licensed, bonded, and insured and has served over 46,000 satisfied customers throughout Maryland, Virginia, and Washington, DC since 1958. If you have any questions about Window Graphics or Commercial Window Tinting, please call American Solar Tinting today at 1-800-0100. You can also follow American Solar Tinting today on Google+, Pinterest, Facebook, and Twitter. Having windows in the office provides natural light and keeps coworkers happy as they are receiving vitamin D throughout the day. Clients also remark on the beauty of the office because windows make rooms seem spacious. The downside to having a plethora of windows in the office is the sunshine hitting one’s eyes when trying to work. American Solar Tinting has a solution for this glaring problem: commercial window tinting. Window tinting provides many benefits while the presence of windows creates a pleasant, aesthetic feel. Most working people dream of having an office with big windows and a door. The light and the upscale feel of the windows promote a positive work environment. When windows are tinted, glare is avoided and work is easy to accomplish. Productivity will increase when glare is reduced by almost 85%. When implementing commercial window tinting, the windows do not have to be dark, which is a common misconception. American Solar Tinting also offers clear window tinting. This option allows customers, for example, to see what your business has to offer if you are a store. Clear tinting gives all the benefits of window tinting without the reduction of visibility. 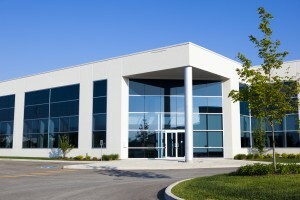 Commercial window tinting provides economic efficiency. Windows create a larger temperature difference in buildings, which means higher gas & electric bills. When the windows in an office are commercially tinted, it keeps the rooms cool and protects from UV rays. This means the room will be cooled by almost fifteen degrees and wood floors and paintings on the walls will keep their luster. Commercial window tinting aids the effort of “going green” and is an eco-friendly procedure. Privacy is offered when commercial windows are tinted. If the office needs security, commercial window tinting is the way to go. It reduces the ability for nosy by-passers to take a peek inside to see what they could grab. This is especially helpful for medical buildings. Everyone in the office can see outside, but it is difficult to see what is inside.